To implement the infrastructure that Chile will need in 20 years’ time, an investment of more than 100 billion dollars is required. This almost inconceivable figure can be obtained thanks to the current economic conditions. At the moment we have capital worth 37 billion dollars generated by concessions granted since 1994 and the current international financial market is prepared to offer bonds of 50 and even 100 years. With the resources we have available, the challenge is to dream big, to make the capital we have work for us and to be decisive enough to make large scale investments. We must envisage the creation of an investment fund that, administered autonomously by the Treasury, concentrates formal control of investment and has access to future income flows so it can issue bonds to finance large, long-term projects. It is essential that we identify the most urgent needs of Santiago and the other major cities in the country. In the capital we need to define the route of the new ring road as soon as possible. We should also set a goal of constructing 10 kilometres of Metro line every year to achieve 320 kilometres by the year 2035. This, added to the expansion of Line 1 with a parallel line, will place the Metro at the centre of the public transport network. In the regions, a system of local lines is needed – taking advantage of existing railway lines – to connect cities, services and people via surface trains. For example, along the coast of Arica, the port could be linked to the airport in the city. 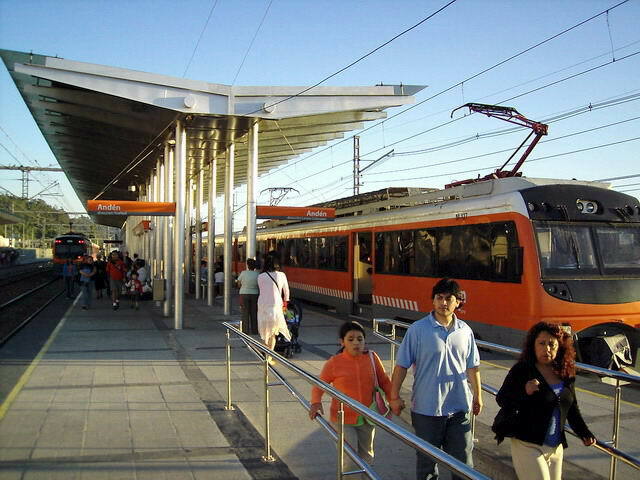 A tram line would do the same between Iquique and Alto Hospicio, while a train from Copiapó could connect it to Paipote and Caldera. The Biotren in Concepción could be extended to Lota and in Temuco a local train could run from Lautaro to Padre Las Casas, while in Puerto Montt it could go north, reaching Osorno. The engine of global development has moved from Europe and the United States to China and Asia meaning that economic transit is shifting from the Northern Atlantic to the Pacific, offering Chile an opportunity to build a major port in the South Pacific. The bi-oceanic corridors are thus very important; we need to prepare our ports to receive the ships with a capacity of 18,000 containers that will soon be crossing through the Panama Canal. Renovating and converting San Antonio into the port of the future, connected by motorways to the main cities in the centre, will be fundamental if Chile wishes to have a prominent position in this new state of affairs. This programme would require wide ranging understanding from society and the voice of everyone – companies, workers, citizens and civil organizations – must be heard. History teaches us that when opportunities present themselves we must take advantage of them immediately or else it will be too late. Today that moment is now.